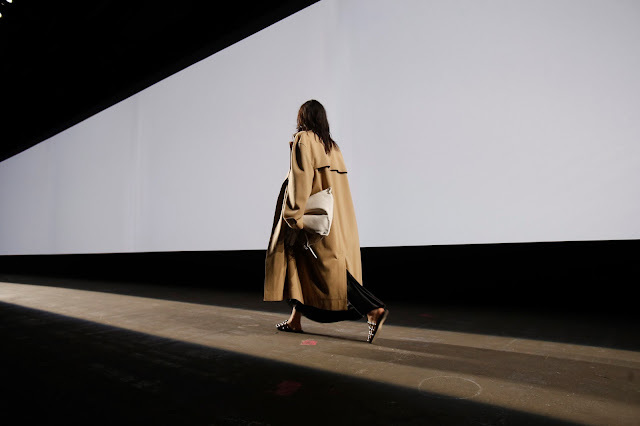 Alexander Wang celebrated his 10th anniversary in fashion with his Spring 2016 collection last Saturday evening. He’s accomplished quite a lot in 10 years. A huge celebrity and customer following. He collaborated with H&M on a bestselling collection. He designed for storied Parisian house Balenciaga for three years. There are AW stores dotted around the globe. What better way to celebrate than on a Saturday night with a fashion show and a huge after-party? There was “no concept,” for this show; Wang said to editors backstage. His roots are in the streets. The girls we see stomping about, owning the street. That’s the Alexander Wang girl. It was more evident as an inspiration this season. The snapbacks, the simple hairstyles, the trainers and sandals. It was the little things, especially, that signified the streets. The show was a tricky one. It opened with a toned Lexi Boling wearing a crisp white crop top and grey and black striped trousers. I liked it. Then it was the turn of a grey and black striped coat over a white crop top and black Daisy Duke’s over boxers. I liked it. Lineisy Montero’s white dress with side splits. I liked it. The black dungarees with leather accents worn by a male model. I liked it. This is where things started to get messy. Liking looks as a whole virtually vanished. I must honestly say, I only liked, at most, one thing from each look thereafter (with exceptions). The jackets were stunning. 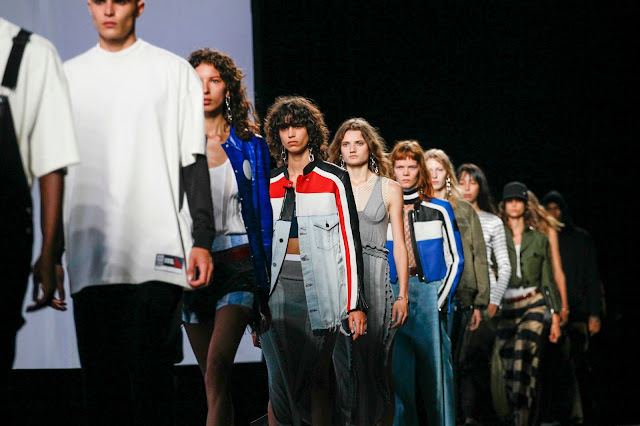 An electric blue and white number and Mica Arganaraz’s leather and denim concoction were über cool. Military surplus in forest greens were beautiful. Lined with fringe, one jacket didn’t exactly work. It was overshadowed by the others; and the unexpected camel duster coat which was a welcome addition. The lace slip dresses from last season were back for Spring. A slinky midnight blue dress with lace trim was worn underneath a duster coat. A champagne, silk and lace dress is the first red carpet friendly piece I’ve seen in some time from Wang. Giving the sensual slip dress a cool girl vibe, one was styled with a black bomber jacket, lace-up trainers and a snapback. Silk pyjamas was another trend derived in the collection. Hanne Gabe Odiele’s pale blue blouse had red piping. An alternative, a yellowy cream wasn’t as nice. I was disappointed by this collection. It was a grungy, sporty mix that Wang is famous for. Fall 2015 was about punk rock chic. 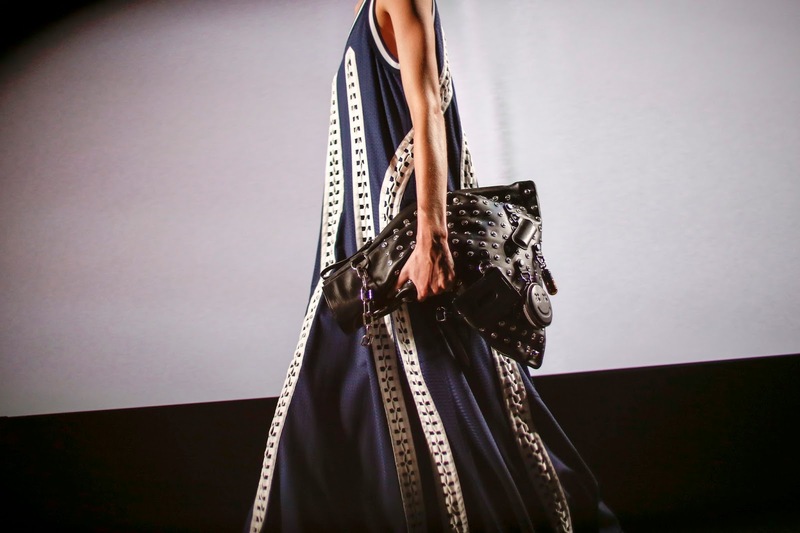 Spring 2015 was high-powered, evening glam. Including resort and pre-fall, the past four collections have all been great. Placed alongside those collections, this, unfortunately, doesn’t rank.